I present the Amundsen-Scott South Pole Station. It is a research station located at the geographic south pole of Earth. This research station was built in 2003 and serves as a year-round base of operations in Antarctica. Over 150 people live and work here during the summer months and roughly 40 live and work here during the dark winter months. The primary transportation to and from the station is an LC-130 Hercules Airplane. Here is a Wikipedia link to the actual research station. Additionally here is a YouTube video which really helped me a lot when building this, giving a tour of the station. This project started with myself searching Planet Minecraft for a good antarctic research base. However to my surprise I could not find any, so I set out to build my own. 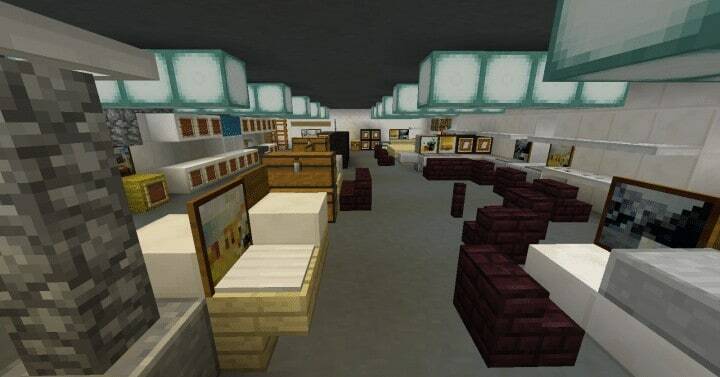 This is one of the largest and most complex of my Minecraft builds. I used YouTube videos, maps and pictures to recreate the Amundsen-Scott South Pole Station as accurately as I could. 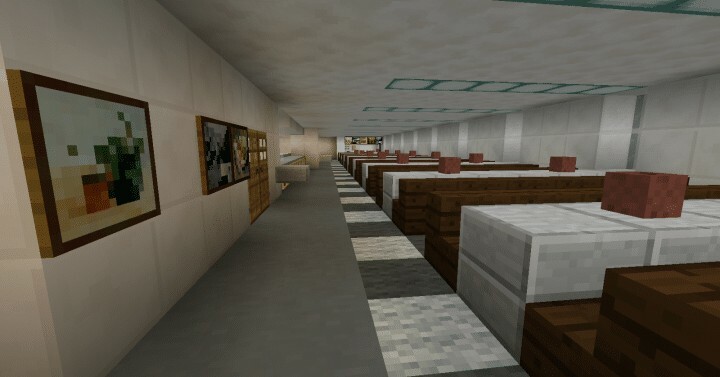 It contains hundreds of rooms including but not limited to a science lab, computer lab, gymnasium, gallery, greenhouse, post office, computer lab, lounge, game room, workout room, sauna, hundreds of personal rooms, storage rooms and much more. 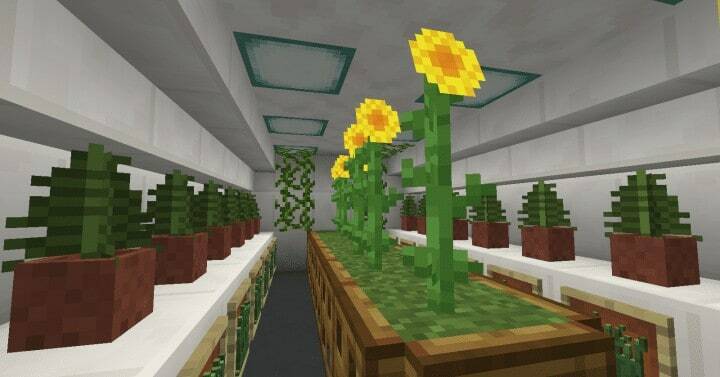 This research station is like a small town. It contains everything that a small population would need to live in an isolated environment. The structure is 26 blocks tall, 79 blocks long and 201 blocks wide. I’ve worked on this project since November 2016 and have spent over 35 hours building it as accurately as Minecraft would allow. 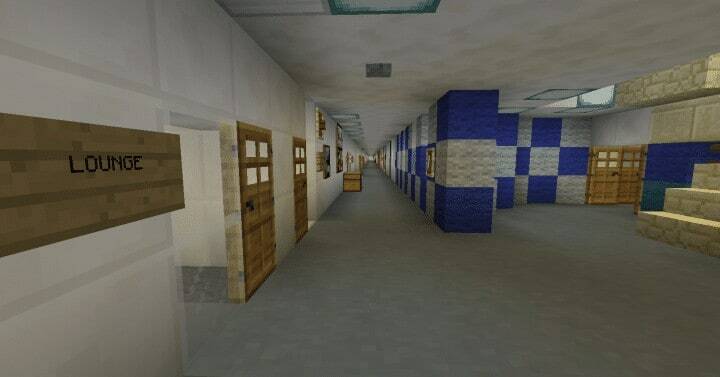 The entire elevated station was built by me in MCEdit and by hand in Minecraft. 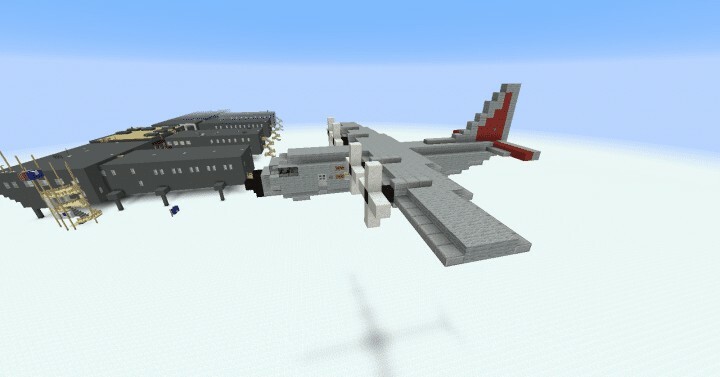 The LC-130 Hercules Airplane is an edited version of McAlpaka’s U.S. Air Force Lockheed C-130 Hercules 1:1. Make sure to visit his page and give a favorite and a diamond to his work. The LC-130 is only included in the world save. 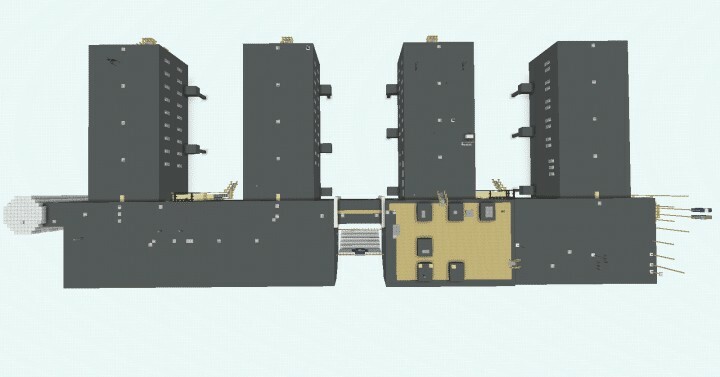 The schematic is of the elevated station. I will continually update this project if I see fit. Overall this was a challenging yet very fun build for me to do. 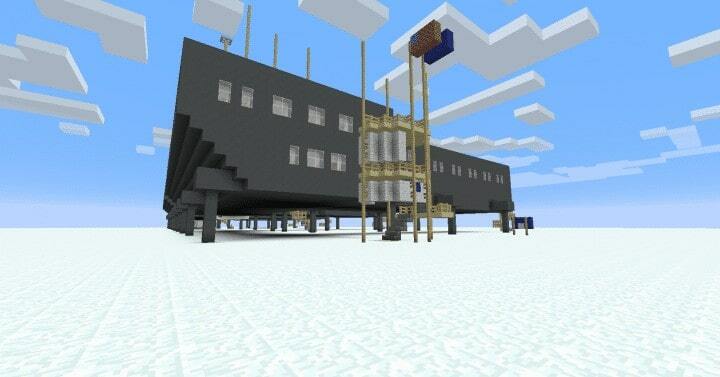 I hope that you enjoy my Minecraft version of the Amundsen-Scott South Pole Station.